Bradfordville Animal Hospital was founded in 1982 by Dr. Lomax Teal. 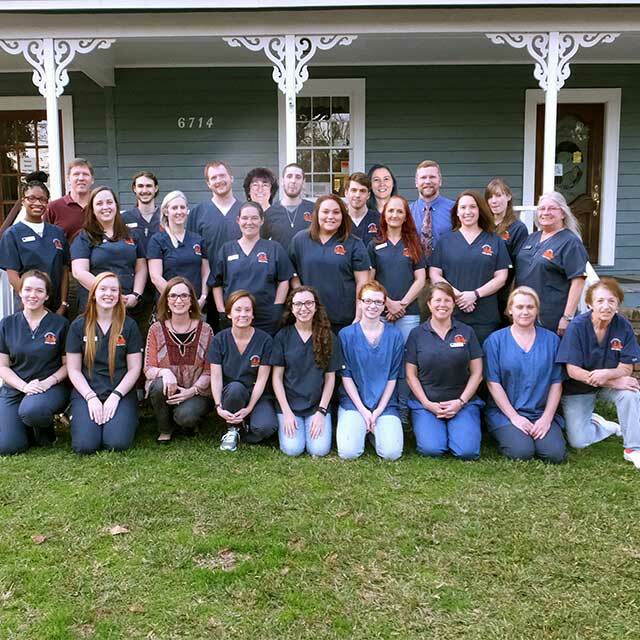 Originally a plantation outbuilding built in 1853, Dr. Teal remodeled the building into a veterinary hospital. The "back edition" was added several years later. Dr. Alex "Steve" Steverson purchased Bradfordville Animal Hospital in 1991. Since then we have grown by adding a second treatment area, a records room, an employee break room/meeting room, doctors offices and a separate boarding area for cats (Catopia). 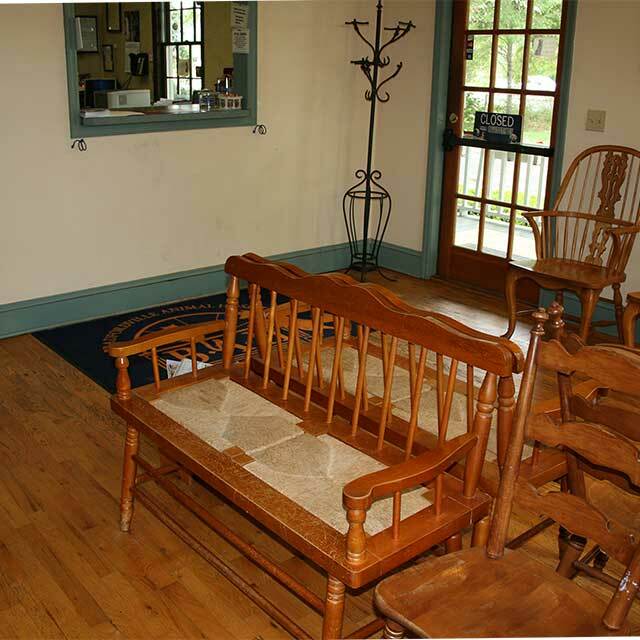 We are fully handicap accessible, there is a handicap ramp on the side of the building leading up to the front door. A renovation in 2015 updated the boarding facilities and added 5 luxury resort suites for a 'cage-less' boarding environment. The latest renovation in 2017 opens the reception area into a large space, adds two more exam rooms, eliminates the records room (we are paperless), adds a reception office, enlarges our kitchen/break room and moves the doctors offices to the upstairs of the back addition. You can view the updates and changes in our Photo Gallery! Over the years we have grown to meet the needs of our community and, at the same time, have maintained the welcoming atmosphere and personal attention that makes clients and pets feel at home. We tailor your pets' health and vaccination program according to its' needs and lifestyle. If your cat or dog becomes ill, we take the time to discuss all the options for treatment, and we work with you to develop a comprehensive treatment plan. The waiting area is a large, open plan space with a curved reception desk. The front door can be accessed via stairs or the handicap ramp located on the side of the building. There are six exam rooms each equipped with exam tables, seating for clients, and informational booklets, and a computer for viewing patient history and x-rays. The surgery suite is fitted with the latest equipment enabling us to perform a full range of surgical procedures ranging from the routine to the complex. We are equipped to handle orthopedic as well as general surgical procedures. Every patient's vital signs are closely monitored during all anesthetic procedures. The intensive care room is centrally located, adjacent to the treatment area and allows the doctor and staff to keep an eye on severely ill or recuperating patients. Pets with potentially contageous diseases are housed in the isolation ward. This area is completely separate from other hospitalized or kenneled patients to reduce the risk of cross contamination. For your pet’s safety and protection, our building has a 24 hour a day security monitoring system.